Finding the right school is all about finding the right environment for your child. We, at Anthea Montessori, strive to make such an environment a reality for you. At Anthea Montessori, we respect diversity. It is an integrating and inclusive school. 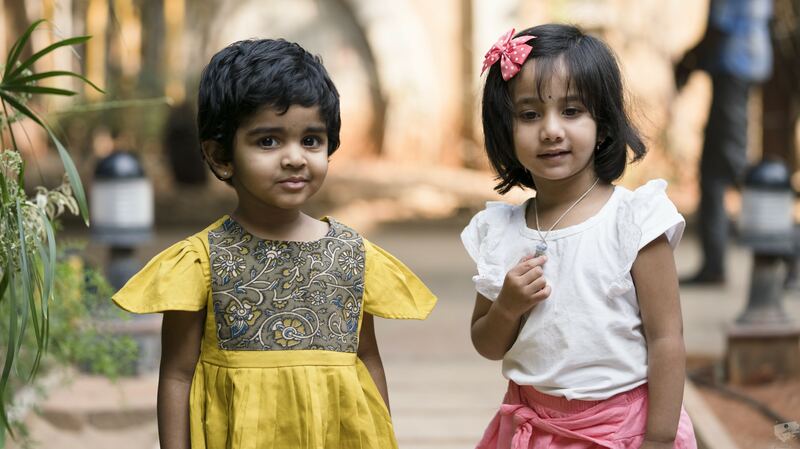 Children in Anthea Montessori come from a variety of backgrounds and cultures. We work hard to cherish and support each of them. Admission is open to all children between 18 months and 6 years of age. The child needs to be walking with no assistance by the time they start at Anthea. In exceptional circumstances, and depending on the development of the child, the age limit may be relaxed by a few months. Registration for admission can be done for your child at any time during the year (as long as seats are available). First the prospective parents have to schedule a visit for a detailed tour of the environment, to understand how things work in Anthea. They meet the Founders and / or Centre Directors, interact and discuss the Montessori philosophy. It is very important for the parents to be aligned with the philosophy and pedagogy. Children learn better when the environment of learning at the school is aligned with that at home. The parents can request for the admission form for a fee. The form has to be filled and submitted in the school office. Once the application form is submitted, parents need to schedule another one-on-one with Anthea to discuss certain key issues regarding the child, so that the faculty is better aware of the needs of the child. Once this meeting is complete, the fee has to be paid to complete the admission process.